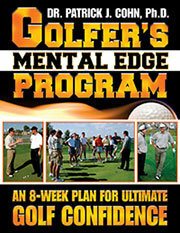 Focusing during poor conditions–weather or course–can present a problem for some golfers. From day-to-day, weather conditions can change drastically. One day, the weather can be clear, 80 degrees with hardly any wind. The next day, it can be rainy, windy and cold with poor course conditions. Often, you won’t play on a perfectly groomed course; bunkers might be inconsistent, greens might feel like peanut brittle. Many golfers get totally thrown off their game in bad conditions. For example, you may be having the round of your life on a day when there are favorable weather conditions. All aspects of your game seem to be clicking and you feel happy with your performance. Later that night, you feel great about your chances for a Top-10 finish and you are confident heading into the last round. The next morning, you head over to the golf course, there is a slight wind, the sky is a bit cloudy and dark but it is not a major concern for you at that moment. By the time you step out of the clubhouse, the winds have picked up and you have that “uh-oh” feeling. You watch as other golfers battle the windy conditions and you have doubts about your ability to pull off a good round. After a few holes, you notice the wind is severely impacting your game which distracts your as each hole played becomes worse and worse. The biggest problem in this scenario is not the wind but your FOCUS on the wind. Rarely are conditions “perfect.” And the truth is that you don’t need “perfect” conditions to be on top of your game or to play well enough to finish among the leaders. When you focus on things outside of your control, you become anxious… You become upset and frustrated by your score… You lose confidence in your game… And when you see your game slipping away, you give up and just want the round to be over. No matter the conditions, the only thing you can control is how you approach each hole given the conditions at the time. This should be your sole FOCUS. 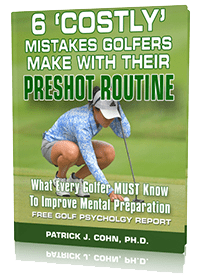 Focusing on your approach might not win you a PGA tournament or a local club tournament, but it will allow you to play your best golf for that day. Case in point, Paul Casey… Casey became the first back-to-back winner of the Valspar Championship in the history of the tournament even though playing conditions were far from “perfect”. On a windy and gusty final day where most golfers were off their game, Casey hung on scoring 1-over par to win by one stroke over Jason Kokrak and Louis Oosthuizen. Casey made a very interesting comment after the tournament regarding how he focuses on the process and the specific challenges that each round brings. It is true that you “don’t beat golf.” Every single shot is about you and you alone. In essence, you compete against yourself, so you should always keep the focus on you. View any challenge as a quest to overcome. Half the field will be frustrated with the conditions and half they field will welcome them as a fun challenge. “How can I use my strengths to overcome this challenge?” For example, if the greens are slow and bumpy, how can you embrace this challenge? 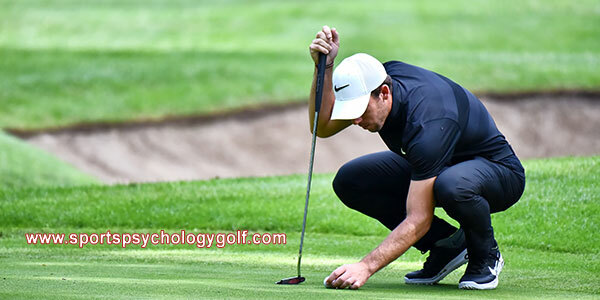 Composure and patience are critical for golfers especially when the conditions are not ideal… If you’re convinced that you can’t play in tough conditions, you might as well not tee it up!